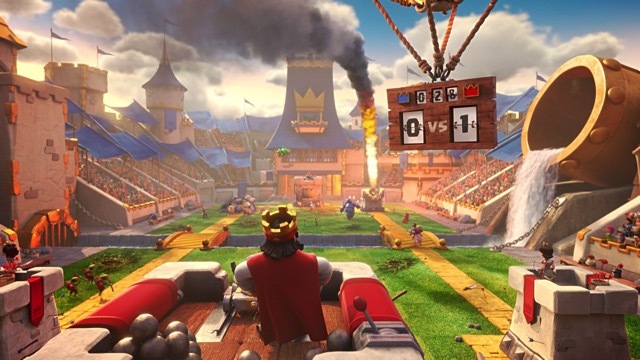 Supercell has today revealed that teams from 36 eSports organizations from around the world are joining the ‘Clash Royale’ eSports league, including big names like Cloud9, Team SoloMid, Immortals, NRG, Complexity, Team Dignitas and Counter Logic Gaming (via Engadget). This year, over 25 million players from around the world competed in an in-game event to qualify for the teams. Teams will fill region-specific slots, with Cloud9, Team SoloMid and the other American organizations making up the eight North American teams. FNATIC, Misfits and Team Liquid are among the Europeans joining, while EDG.M, GO, JDG will represent mainland China and CJ OGN, Sandbox, Kingzone will play for the general Asia division. The teams in China’s division have already started their initial Spring season, which runs from March 23rd to June 3rd. Later in the year, squads in the Asia region will play from April 27th to July 14th.